How do you spell quality? C-h-e-v-r-o-l-e-t, according to consulting firm Strategic Vision. Based on a survey of 42,000 new-car owners, the Detroit-based automaker captured five of 27 categories in Strategic Vision’s 2017 Total Quality Impact (TQI) awards. A total of 18 brands were represented in the survey results. The results offer new-car shoppers a glimpse of how much new owners love their vehicles after 90 days. 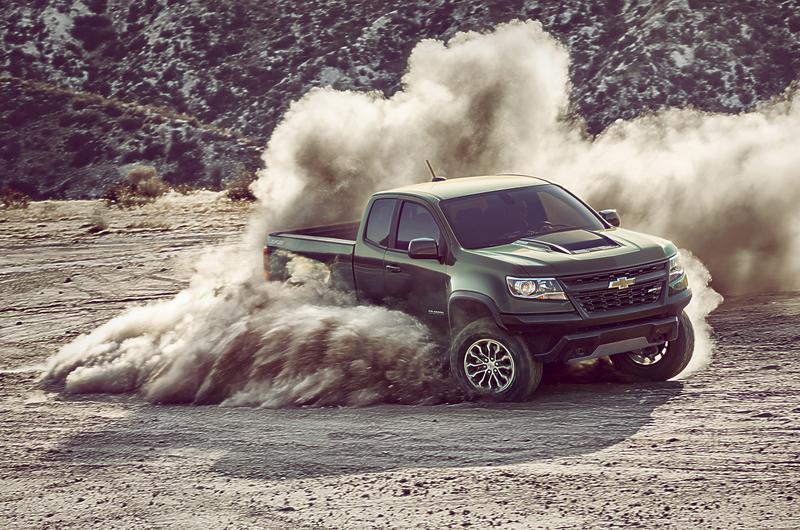 The Chevrolet Colorado is “Quality” winner among standard pickups. The automaker’s five category winners are the Chevrolet Malibu Hybrid (mid-size, alternative-powertrain, or APT), Chevrolet SS (near-luxury), Chevrolet Corvette Coupe (premium coupe) and convertible (premium convertible/roadster), and the Colorado (standard pickup truck). “This has been accomplished by shoring up reliability issues, focusing on meaningful innovative advancements – especially those that involve styling or powertrain – and establishing a ‘home field advantage’ in the truck and sports car markets,” according to the consulting firm. Ford with three category wins and Dodge with two also contributed to the result that had domestic carmakers winning more than half of the categories – 14 of 27 – compared to just five a decade ago. Ford winners and Total Quality categories are the C-MAX Hybrid (small APT), Mustang convertible (standard convertible) and F-250/350 (heavy duty pickup), while Dodge winners were the Charger (full-size car) and Durango (mid-size SUV). The other domestic winners are the Lincoln MKZ Hybrid (near-luxury APT), Jeep Wrangler (entry SUV), GMC Yukon XL (full-size utility) and Chrysler Pacifica (minivan). Subaru and Honda led other categories with two wins apiece – the Subaru Outback (mid-size hatchback) and Crosstrek (entry CUV) and Honda Civic Sedan (small car) and Civic Hatchback (small hatchback). But it is Subaru that felt the most love in the survey results as it also took home the award for TQI best mass-market brand for the second straight year. In the end, Strategic Vision recognizes that the Total Quality Impact is linked to love as much as quality.